I recently constructed and tested a pair of Transverters for Thru-the-Earth Voice Communications. I made modifications to Ian Drummond's design to increase the receive dynamic range. I retained the original audio power amp IC design, but added a second amplifier in parallel with the first to increase the output power. The Design can be used as-is for 45-185 KHz SSB or FM, but would not produce much AM output due to the high peak power demands. The IC's work excellently below 100 KHz, and with reduced output to 185 KHz. 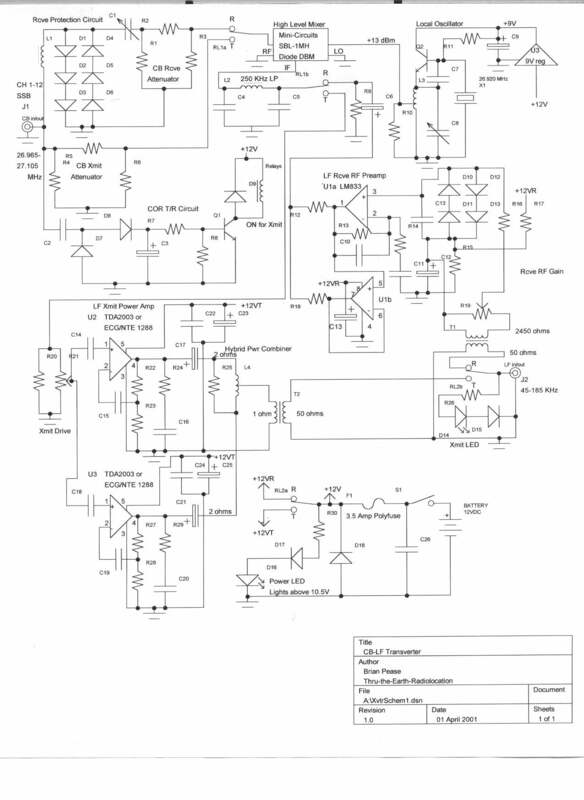 For FM, it would be better to use a high efficiency switching power amplifier rather than this linear design. For optimum performance, each winding of the three transformers (L4, T1, T2) should have a reactance of 5 to 10 times the impedance of the circuit it is connected to, ie a reactance of 250-500 ohms for the 50 ohm windings. 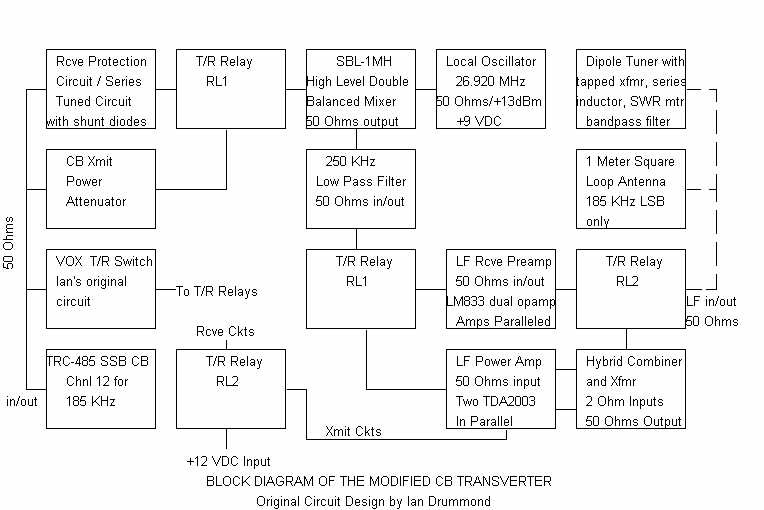 So far I have posted the block diagram, schematic, and parts list for the Transverter. I will be including construction hints, photos and antenna designs in the near future. I did not use PC boards for my prototypes. I have antenna design software that I will be using to predict antenna impedance and radiated fields, etc.